German geographers have a more distanced view on gentrification. 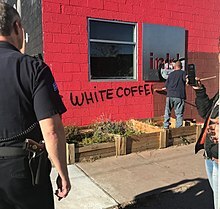 Actual gentrification is seen as a mere symbolic issue happening in a low number of places and blocks, the symbolic value and visibility in public discourse being higher than actual migration trends. E.g. Gerhard Hard assumes that urban flight is still more important than inner city gentrification.Volkskunde scholar Barbara Lang introduced the term 'symbolic gentrification' with regard to the Mythos Kreuzberg in Berlin. Lang assumes that complaints about gentrification often come from those who have been responsible for the process in their youth. When former students and bohemians started raising families and earning money in better paid jobs, they become the yuppies they claim to dislike. Especially Berlin is a showcase of intense debates about symbols of gentrification, while the actual processes are much slower than in other cities. 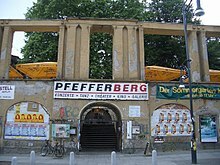 The city's Prenzlauer Berg district is, however, a poster child of the capital's gentrification, as this area in particular has experienced a rapid transformation over the last two decades. This leads to mixed feelings amidst the local population. 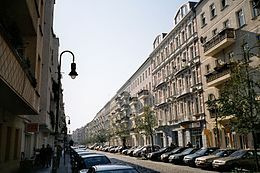 The neologism Bionade-Biedermeier was coined about Prenzlauer Berg. It describes the post-gentrifed milieu of the former quartier of the alternative scene, where alleged leftist alternative accessoires went into the mainstream. 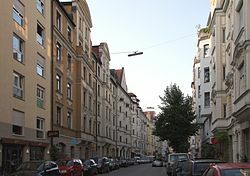 The 2013 Schwabenhass controversy in Berlin put the blame of gentrification in Prenzlauer Berg on well-to-do southern German immigrants and allowed for inner German ethnic slurs, which in case of foreign immigration would have been totally unacceptable. While much of this information may be true, it is important to note that LGBT (gay) people felt the need to create their own communities in racial minority dominated areas because of the oppression they faced in heterosexual dominated areas. To counter the gentrification of their mixed-populace communities, there are cases where residents formally organized themselves to develop the necessary socio-political strategies required to retain local affordable housing. The gentrification of a mixed-income community raises housing affordability to the fore of the community's politics. There are cities, municipalities, and counties which have countered gentrification with inclusionary zoning (inclusionary housing) ordinances requiring the apportionment of some new housing for the community's original low- and moderate-income residents. Inclusionary zoning is a new social concept in English speaking countries; there are few reports qualifying its effective or ineffective limitation of gentrification in the English literature. The basis of inclusionary zoning is partial replacement as opposed to displacement of the embedded communities. In Los Angeles, California, inclusionary zoning apparently accelerated gentrification, as older, unprofitable buildings were razed and replaced with mostly high-rent housing, and a small percentage of affordable housing; the net result was less affordable housing. German (speaking) municipalities have a strong legal role in zoning and on the real estate market in general and a long tradition of integrating social aspects in planning schemes and building regulations. The German approach uses en (milieu conservation municipal law), e.g. in Munichs Lehel district in use since the 1960s. 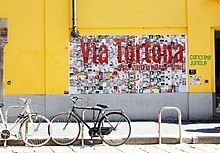 The concepts of socially aware renovation and zoning of Bologna's old city in 1974 was used as role model in the Charta of Bologna, and recognized by the Council of Europe. Gentrification is not a new phenomenon in Britain; in ancient Rome the shop-free forum was developed during the Roman Republican period, and in 2nd- and 3rd-century cities in Roman Britain there is evidence of small shops being replaced by large villas.“London is being ‘made over’ by an urban centred middle class. In the post war era, upwardly mobile social classes tended to leave the city. Now, led by a new middle class, they are reconstructing much of inner London as a place both in which to work and live” (Butler, 1999, p. 77). King's College London academic Loretta Lees reported that much of Inner London was undergoing "super-gentrification", where "a new group of super-wealthy professionals, working in the City of London [i.e. the financial industry], is slowly imposing its mark on this Inner London housing market, in a way that differentiates it, and them, from traditional gentrifiers, and from the traditional urban upper classes ... Super-gentrification is quite different from the classical version of gentrification. It's of a higher economic order; you need a much higher salary and bonuses to live in Barnsbury" (some two miles north of central London). On the other side, the eviction of the poorest people to periurban areas since 2000 has been analyzed as the main cause for the rising political far-right national front. When the poor lived in the close suburbs, their problems were very visible to the wealthy population. But the periurban population and its problem is mainly "invisible" from recent presidential campaign promises. These people have labelled themselves "les invisibles". Many of them fled both rising costs in Paris and nearby suburbs with an insecure and ugly environment to live in small houses in the countryside but close to the city. But they did not factor in the huge financial and human cost of having up to four hours of transportation every day. Since then, a lot has been invested in the close suburbs (with new public transports set to open and urban renewal programs) they fled, but almost nobody cares of these "invisible" plots of land. Since the close suburbs are now mostly inhabited by immigrants, these people have a strong resentment against immigration: They feel everything is done for new immigrants but nothing for the native French population. 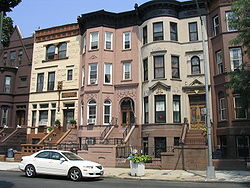 Furthermore, the authors note that the pre-conditions for gentrification where events like Tertiary Decentralization (suburbanization of the service industry) and Capital Flight (disinvestment) were occurring, which caused scholars to ignore the subject of gentrification due to the normality of the process. Additionally, Kotze and Visser found that as state-run programs and private redevelopment programs began to focus on the pursuit of “global competitiveness” and well-rounded prosperity, it hid the underlying foundations of gentrification under the guise of redevelopment. As a result, the effect is similar to what Teppo and Millstein coins as the pursuit to moralize the narrative to legitimize the benefit to all people. This concurrently created an effect where Visser and Kotze conclude that the perceived gentrification was only the fact that the target market was people commonly associated with gentrification. As Visser and Kotze states, “It appears as if apartheid red-lining on racial grounds has been replaced by a financially exclusive property market that entrenches prosperity and privilege”. Then, by surveying the recent newcomers to the area, Atkinson's research found that there is confidence for local economic growth which further indicated shifts to middle-class values, therefore, gentrification. This research also demonstrated growth in “modernizers” which demonstrate the general belief of gentrification where there is value for architectural heritage as well as urban development.Lastly, Atkinson's study found that the gentrification effects of growth can be accredited to the increase in unique or scarce skills to the municipality which revived interest in the growth of the local area. This gentrification of the area would then negative impact the poorer demographics where the increase in housing would displace and exclude them from receiving benefits. In conclusion, after studying the small town of Aberdeen, Atkinson finds that “Paradoxically, it is possible that gentrification could promote economic growth and employment while simultaneously increasing class inequality”. In another specific case, Millstein and Teppo discovered that working-class residents would become embattled with their landlords. On Gympie Street, which has been labeled as the most dangerous street in Cape Town, it was home to many of the working-class. But as gentrification occurred, landlords brought along tactics to evict low-paying tenants through non-payment clauses. 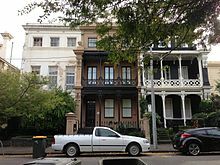 One landlord who bought a building cheaply from an auction, immediately raised the rental price which would then proceed to court for evictions. But, the tenants were able to group together to make a strong case to win. Regardless of the outcome, the landlord resorted to turning off both power and water in the building. The tenants then were exhausted out of motivation to fight. One tenant described it as similar to living in a shack which would be the future living space one displaced. Closing, the Teppo and Millstein's research established that gentrification's progress for urban development would coincide with a large displacement of the poorer communities which also excluded them from any benefits to gentrification. To put it succinctly, the authors state, “The end results are the same in both cases: in the aftermath of the South African negotiated revolution, the elite colonize the urban areas from those who are less privileged, claiming the city for themselves”. Gentrification in Atlanta has been taking place in its inner-city neighborhoods since the 1970s. Many of Atlanta's neighborhoods experienced the urban flight that affected other major American cities in the 20th century, causing the decline of once upper and upper-middle-class east side neighborhoods. In the 1970s, after neighborhood opposition blocked two freeways from being built through the east side, its neighborhoods such as Inman Park and Virginia-Highland became the starting point for the city's gentrification wave, first becoming affordable neighborhoods attracting young people, and by 2000 having become relatively affluent areas attracting people from across Metro Atlanta to their upscale shops and restaurants. In the 1990s and 2000s, gentrification expanded into other parts of Atlanta, spreading throughout the historic streetcar suburbs east of Downtown and Midtown, mostly areas that had long had black majorities such as the Old Fourth Ward, Kirkwood, Reynoldstown and Edgewood. 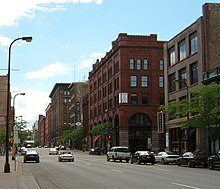 On the western side of the city, once-industrial West Midtown became a vibrant neighborhood full of residential lofts and a nexus of the arts, restaurants, and home furnishings. Gentrification by young African Americans was also taking place in the 1990s in southwest Atlanta neighborhoods. The BeltLine trail construction is expected to bring further gentrification in the neighborhoods alongside which it runs. Concerns about displacement of existing working-class black residents by increasing numbers of more affluent whites moving in are expressed by author Nathan McCall in his novel Them, in The Atlanta Progressive News, and in the documentary The Atlanta Way. ^ Ehrenhalt, Alan (February 2015). "What, Exactly, Is Gentrification?". Governing Magazine. Retrieved 25 September 2017. ^ Freeman 2005; Vigdor, Massey & Rivlin 2002; Buntin 2015; Vandergrift & 2006}; Florida 2015. 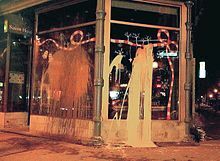 ^ "Pilsen Gets Whiter As 10,000 Hispanics, Families Move Out, Study Finds". DNAinfo Chicago. Archived from the original on 2017-05-12. ^ "City Hall's 'Density Hawks' Are Changing L.A.'s DNA". LA Weekly. Archived from the original on 16 April 2008. ^ a b c "Where Gentrification Is Occurring". Governing.com. Governing. February 2015. Retrieved 28 February 2015. Atkinson, Rowland; Bridge, Gary, eds. (2005). Gentrification in a Global Context. ISBN 978-0-415-32951-4. Boyd, M. (2008). "Defensive development: The role of racial conflict in gentrification". Urban Affairs Review. 43. Butler, Tim (1997). Gentrification and the Middle Classes. Aldershot, Hants, England: Ashgate. Caulfield, J.; Peake, L. (eds.). City lives and city forms: Critical research and Canadian urbanism. Toronto: University of Toronto Press. Rose, Demaris (1996). "Economic restructuring and the diversification of gentrification in the 1980s: A view from a marginal metropolis". In Caulfield, J.; Peake, L. (eds.). City lives and city forms: Critical research and Canadian urbanism. Toronto: University of Toronto Press. pp. 131–172. Freeman, Lance (2006). There Goes the 'Hood: Views of Gentrification from the Ground Up. Temple University. ISBN 978-1-59213-437-3. Brooklyn Heights 1958 "Community Conservation and Improvement Council"
Brown-Saracino, Japnica. A Neighborhood That Never Changes: Gentrification, Social Preservation, and the Search for Authenticity (Chicago: University of Chicago Press, 2010) 334 pages; Sociological study of newcomers' attitudes toward preserving community character based on fieldwork in the Chicago neighborhoods of Andersonville and Argyle as well as in Dresden, Me., and Provincetown, Mass. Ley, David. "Alternative explanations for inner-city gentrification: a Canadian assessment." Annals of the Association of American Geographers 1986, v. 76, pp. 521–535. Ley, David. "Reply: the rent-gap revisited." Annals of the Association of the American Geographers 1987, v. 77, pp. 465–468. Maag, Christopher (25 November 2006). "In Cincinnati, Life Breaths Anew in Riot-Scarred Area". New York Times. Mele, Christopher (2000). Selling the Lower East Side. Univ of Minnesota. ISBN 978-0-8166-3182-7. Moore, Keith. "From redline to renaissance". Salon.com, 2 August 1999. Pasquinelli, Matteo (2009). "The Sabotage of Rent. Jenseits der Ruinen der Creative City" (PDF). In Becker, Konrad; Wassermair, Martin (eds.). 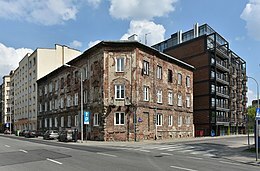 Phantom Kulturstadt: Texte zur Zukunft der Kulturpolitik. II. Vienna: Löcker Verlag. Narefsky, Karen. "Trickle-down Gentrification". Jacobin. Alonso González, Pablo. "Heritage and rural gentrification in Spain: the case of Santiago Millas". International Journal of Heritage Studies.